We are in the home stretch people! I’m a little bummed we didn’t get a slightly early baby, but the signs of labor do seem to be appearing, albeit very slowly. It’s up to the baby, and I’ve been trying to relax and remember that this baby’s arrival time was appointed before he or she was even conceived. So what have I been up to in the meantime, as I continue to stink at regular posting here on NCK? Every week for the last month, I’ve made multiple batches of two or three of our dinners and packaged them up for the freezer. I’m proud to say that, at this point, we have a month, give or take, of dinner for at least two in the freezer. I also have one pan of lasagna ready for the birth center and several sweets, snacks, and/or breakfasts (plus about 60 pounds of raw dog food…yummy). 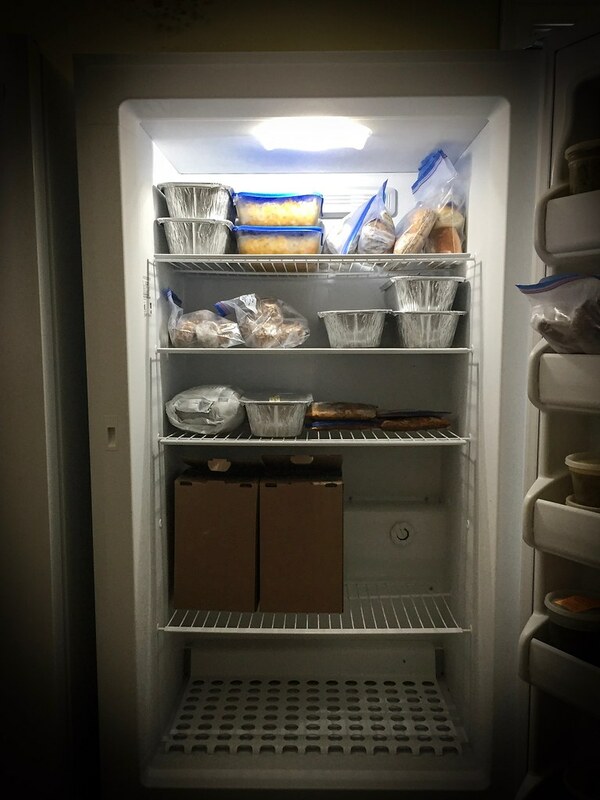 This isn’t exactly a detailed guide to stocking your freezer for a month of dinners, but after discovering how easy it is to gradually stock the freezer, I don’t think a detailed guide is really necessary. Even just having a couple of these on hand to pull out on a busy night or after returning from travel (one of my favorite reasons for freezer cooking) can be a huge lifesaver. Sometimes you want delivery pizza, but sometimes you just…don’t. Have the right containers on hand. In an ideal world, I’d freeze everything in glass for the best taste and safest food, but 30 days worth of Pyrex ain’t cheap. 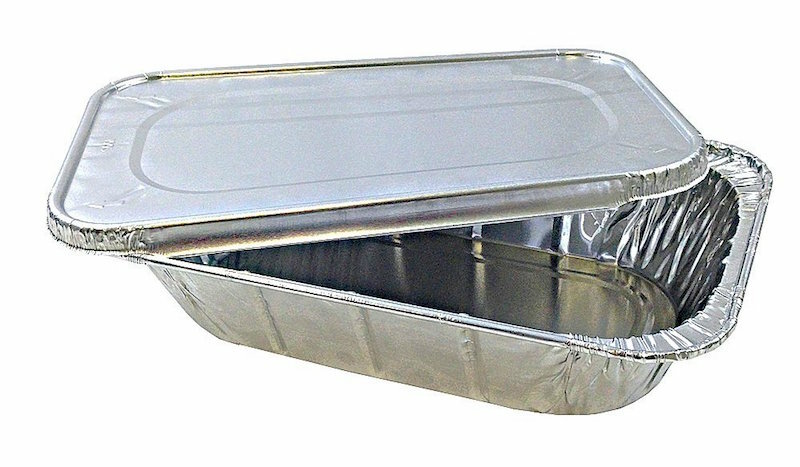 My favorite semi-disposable containers are these quart or pint containers for soups and sauces and these foil pans which are perfect when portioning dinner for two: they’re about half the size of a 9 by 13. I’ll also admit to using a fair amount of good ol’ plastic wrap, for things like pre-assembled grilled cheese and meats not in their original packaging. Make sure to start with large cookware. I’ve learned the hard way that a triple batch of soup might not fit in the pot you usually make a single batch in, so start with the biggest pot you have, or divide up the ingredients and make your big batch in two separate pots. During a week when working on stocking the freezer, keep the non-freezer dinners less ambitious, dare I even say, easy. I did a lot of grain and bean salads and baked potatoes on the in between nights. This recipe, originally Marcella Hazan’s, via Smitten Kitchen, is way too simple to be true, and yet it is. It’s rich and flavorful and made with just three ingredients, all of which you may well have on hand at the moment. I made a double batch on two occasions, so four times the original recipe. All that’s left to do at dinnertime is boil some pasta, a skill which I’m quite confident my husband possesses. One of the first food blog recipes I ever knew or loved, from Pinch of Yum. It’s hard to say exactly how many multiples of the recipe I made, because the eight sweet potatoes I used were GINORMOUS. I froze eight potato halves, and a serving will be one to two halves. I’ve been hooked on this Rachael Ray recipe since I found it in the magazine. 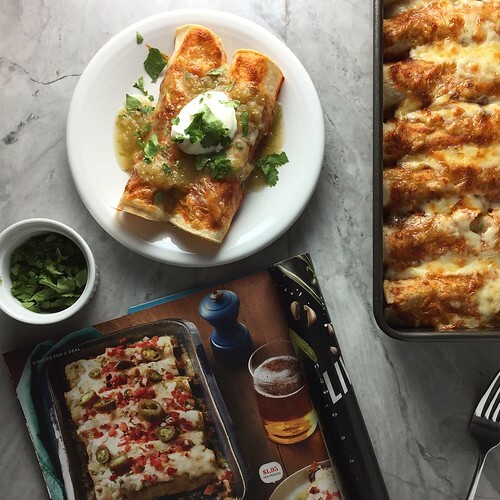 Unlike many enchilada recipes, it makes exactly enough filling. I made a double batch, so 24 enchiladas total. One pan we ate during the week I made it, and I froze the remainder in two pans of six enchiladas each, enough for two big servings. All they need is some sour cream and salsa on top. For some unknown reason, Food Network removed this recipe from their website, but it’s in the September 2016 FN magazine under “Bake and Slice Mac and Cheese”. To be honest, I had to tinker with the original extensively to get the right texture of a slightly solid mac and cheese pie. I haven’t gotten a good photo yet even after making it like five times, but I promise you it will be one of the next recipes I publish on the blog. 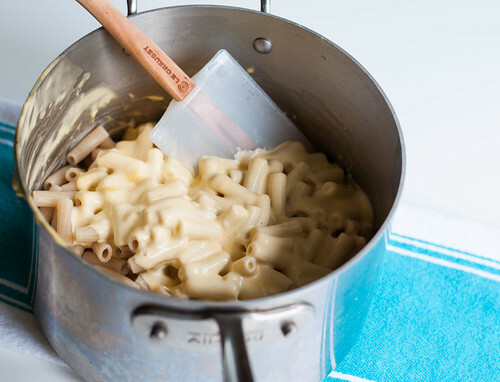 For now, if you’re looking for mac and cheese recipes, try this super easy one which freezes well and tastes amazing. I froze eight servings of the recipe I used. 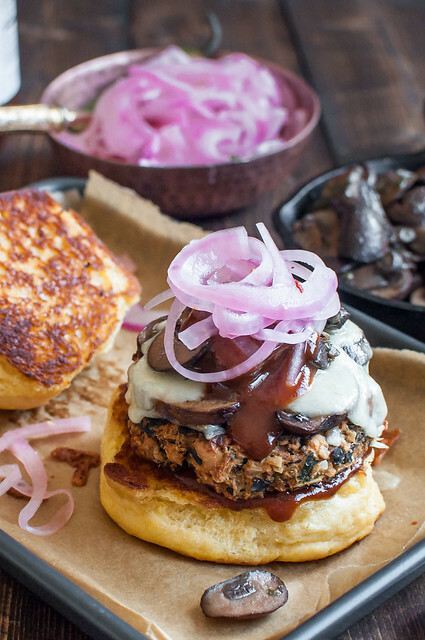 These are really the only veg burgers I ever make now–they’re just so flavorful and I love that they hold together well. I made a double batch (24 patties) and have 12 left in the freezer. I assembled kits of six burgers, six buns (from our local bakery), and even enough grated cheese to go around. The burgers don’t require thawing–I bake them directly from frozen and top with cheese during the last few minutes. They’re filling enough to stand alone or go well with a side salad, a pickle, and/or some chips. 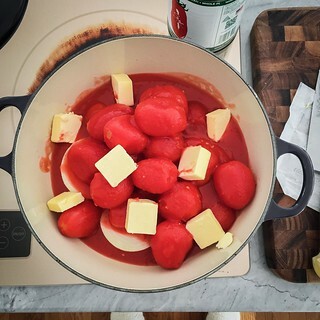 I made this recipe from Mark Bittman’s How to Cook Everything Vegetarian app on a whim: I needed an easy but homemade recipe to feed family when they were in town for my baby shower. It exceeded all expectations. I transformed it to a one (instead of two) pot recipe by briefly cooking the onion and garlic first before proceeding with the recipe as written. Heat this up, add a side of crusty bread, and we’re good to go for a chilly or rainy evening. For this recipe and the soups and curries below, I find I get two hearty servings plus a little leftovers from one quart frozen. If you missed the link above, these quart containers are my favorite for freezing soups and sauces. I thaw them until they’ll release from the container then reheat on the stovetop. 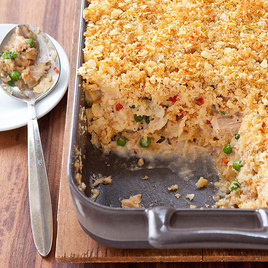 Pregnancy brain is failing me on the recipe I used for this, if any. It was basically a curry I threw together using some random veggies I had. For this one I didn’t use any tomatoes in the sauce, so it’s on the yellow/green side and not too spicy. Usually I serve curry with brown rice, but I know even that may be time intensive when trying to nurse a newborn, so I picked up these quinoa and rice packets at Costco the other day. They have minimal ingredients and I’m excited to see how they pair with the curry! 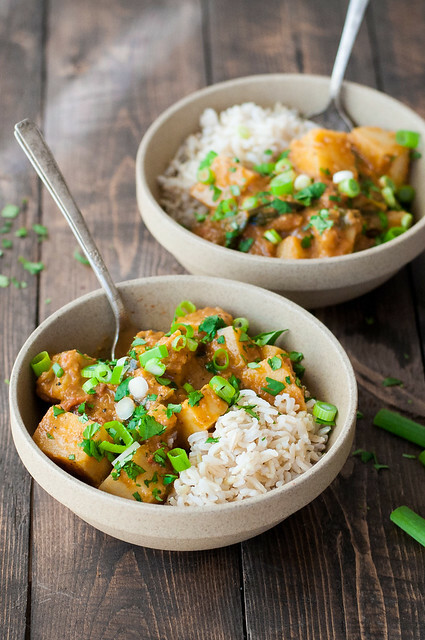 For a freezer friendly curry with an actual recipe, this is one of my favorites from the blog. After a while all soup recipes start to feel the same, but this NYT recipe is simple and is basically the soup equivalent of tabbouleh. 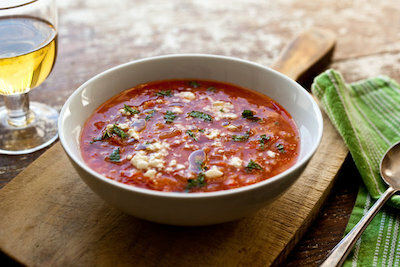 It’s full of texture and is amazing topped with feta, a cheese I hadn’t really thought to add to soup before. The bulgur makes it a totally satisfying meal all on its own. I found this unique recipe, which isn’t really a curry, while going down the internet rabbit hole of recipes to freeze for baby’s arrival. What surprised me most was that it’s SO fresh tasting with the lemon juice and sun dried tomato. For a triple batch, which made five plus quarts, I only doubled the spinach, using two big tubs. 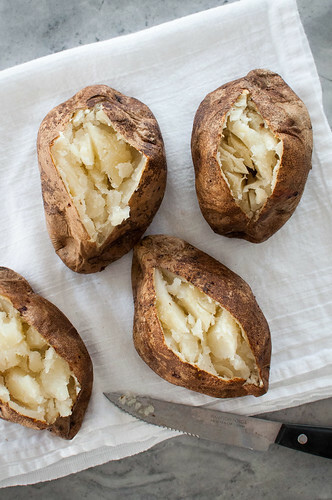 It was yummy served over sweet potatoes, but we’ll probably also try it over grains. 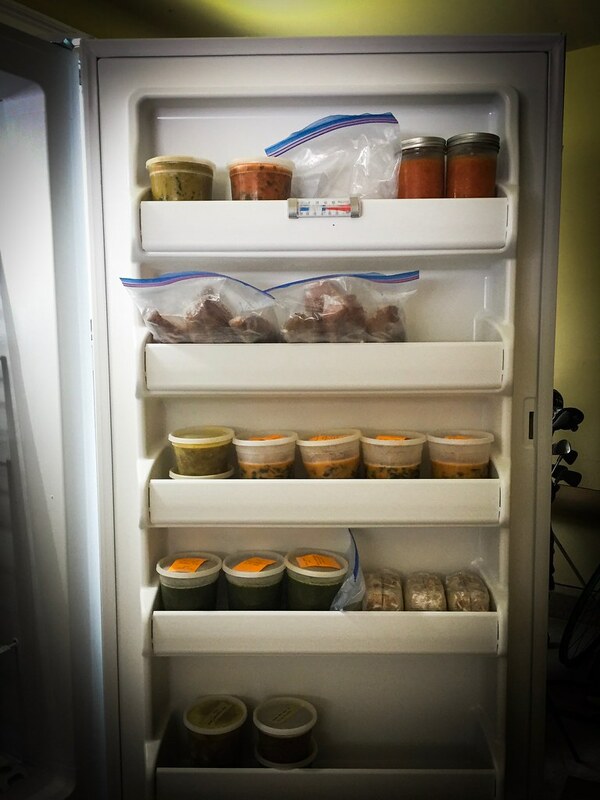 To bulk up leftovers and serve more people, I made a note on the containers to add a can of chickpeas–the frozen batches contain plenty of liquid to cover the extra legumes. It’s impossible to go wrong with recipes from America’s Test Kitchen, and this soup is no exception. It’s worth the bit of work and slightly long list of ingredients. I froze three quarts, along with cubes of the creamy topping from the recipe, AND I assembled grilled cheeses with mustard that are ready to thaw and slap in a hot pan. I know, grilled cheese isn’t that difficult, but I want some painfully easy dinners on hand for overwhelming nights. Note: you can only access the America’s Test Kitchen full recipes with a subscription. I believe they offer a free trial, which I highly recommend! 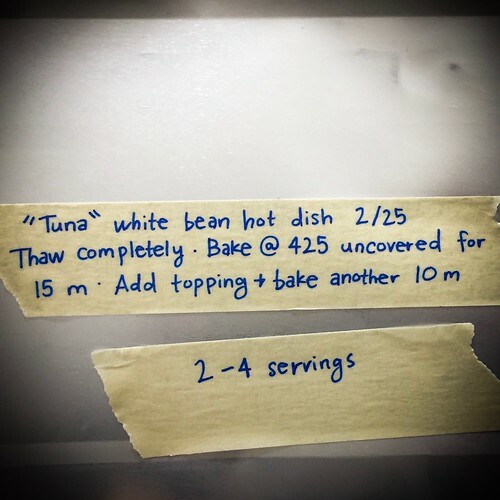 Another foolproof ATK recipe. A single batch makes about eight servings, so I doubled the recipe and divided it into four pans or four servings each. I froze the crumb topping separately to add toward the end of baking so it doesn’t burn. I make this meal meatless by substituting one 15 ounce can of white beans for the three cans of tuna, but it’s delicious either way. Some meat! If I’m going to eat any meat, pork is usually the only one that finds its way into our house. I found this recipe for a dry rub a few years ago and have never changed it up since. I love that it can go two directions once cooked–either BBQ or Mexican–and it’s made entirely in the slow cooker. A seven pound shoulder makes about six baggies of 12 ounces each–enough for two light servings. We had it on nachos this week, and I plan to also use the freezer stash in grilled cheese and for some simple, healthy burrito bowls or salads. Ever since I discovered this recipe in Bon Appetit in 2012, it became an instant favorite. I’ve eaten it with and without meat, and I even blogged my (hardly adapted) variation of it, for fear it might someday disappear from BA’s archives. 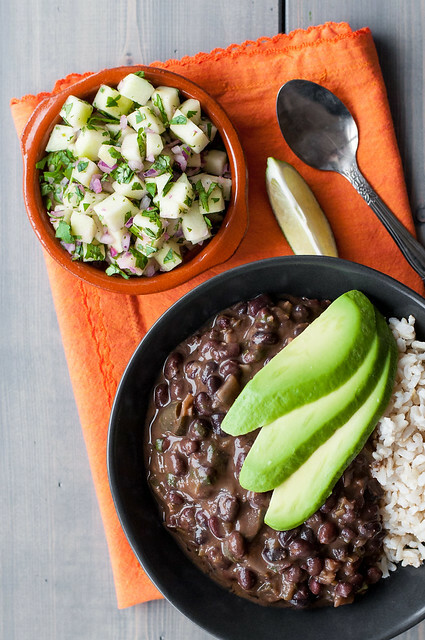 These beans are about as versatile as it gets: eat them alone as soup, with a little rice and a lime wedge, in tacos, or with the whole slew of burrito bowl fixings. These are super strange, extra hearty little muffin/cakes unlike any snack I’ve ever tasted, but for some reason I can’t stop eating them. They do strike a nice sweet and salty balance, but definitely cut the salt from the 2 teaspoons in the recipe to 1 or 1 1/2 teaspoons. I made a single recipe of the Pioneer Woman’s dark chocolate brownies in a 9×13 pan (they’re still plenty thick, even though she bakes them in a smaller square pan), and this time around I had a fun bag of mini baking M&M’s on hand, so I subbed those for the chocolate chips! I’ve pulled a few out of the freezer already, so here’s to hoping the remainder make it to after baby’s arrival. So there you have it! Thirty-nine dinners all tucked away and waiting in the freezer. We’re a little late in the window of baby’s expected arrival now, so I’m actually quite tempted to start pulling these dinners out, but I’m resisting! 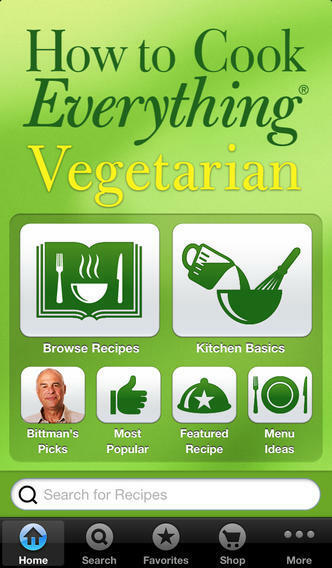 We’re kind of playing it by ear day-to-day, with a mix of perpetual last meals out as a couple and surprisingly awesome, simple recipes from The New Vegetarian Cooking for Everyone. Note: This page contains Amazon links to products I trust and use often in the kitchen. There’s no extra charge to you when you use the links to get to Amazon and do your shopping, and they help to keep NCK up and running. Good luck, Grace! Watch for an update on how it’s working for us once we get somewhat settled after the baby is here.